Since the inception of the PDA, many men and women have embraced this mobile solution to suit their busy lifestyles. Thus, the PDA has evolved rapidly in the past few years, from simple organizers to graphical mini-computers called Pocket PCs; and justifiably so. The need for a super-compact computer is very common amongst businesspersons, and many companies are vying to take advantage of this potential market. Perhaps one of the most prominent companies in the market, not to mention the developer one of the longest standing operating systems, is Palm. 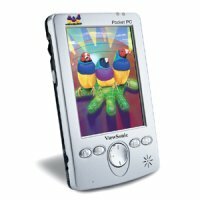 However, Palm�s own line of PDAs has, as of late, met some very stiff competition from popular handhelds such as Compaq�s Ipaq and Dell�s Axim. 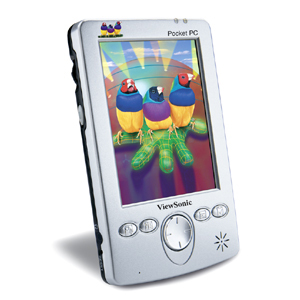 However, as the demand for handheld computers grows, several other less prominent computer-hardware companies have turned their development teams to incorporate PDAs in their product line, not the least of which is visual display giant Viewsonic. We will be taking a look at their most powerful Pocket PC to date, the Viewsonic V37. Can this relative newcomer in the handheld market compete with PDA giants such as Palm and Compaq? Read on to find out.